When I say “SUP”, what do you think of? If you are thinking I’m asking you “WHAT’S UP?”, or inviting you over for SUPPER, I am referring to something totally different. 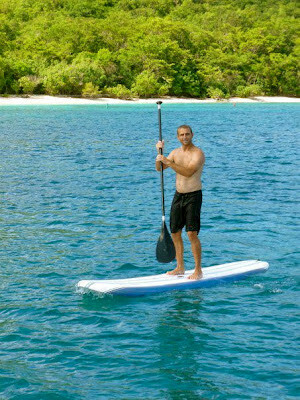 Stand Up Paddle Boarding is actually what I am talking about. Have you heard of it? It is the latest and greatest water sport craze. Working on the beach I get to watch as people experiment and try out all of the water sports. It is similar to how it was working at a ski resort, watching people try to keep their balance and learn the new technique. It is quite humorous to watch as people flail their arms and fall continuously until they finally pick up the knack for it. I was that person at one point, and to be honest I still am. I am not a pro but I have got to say I love the sport, so to all of those who are flailing and falling in front of me all day, I am not judging. Picture someone standing, kneeling, or sitting on a surfboard and paddling along with a long paddle; that is exactly what this sport is. You can paddle board with the ocean surf or on lakes and rivers. REI has a great description of the sport, informing you what equipment is needed and even some techniques. Co-Workers of mine have paddle boarding races where they race from island to island. I work with a 65 year old woman who is absolutely amazing at the sport and finds it relaxing. 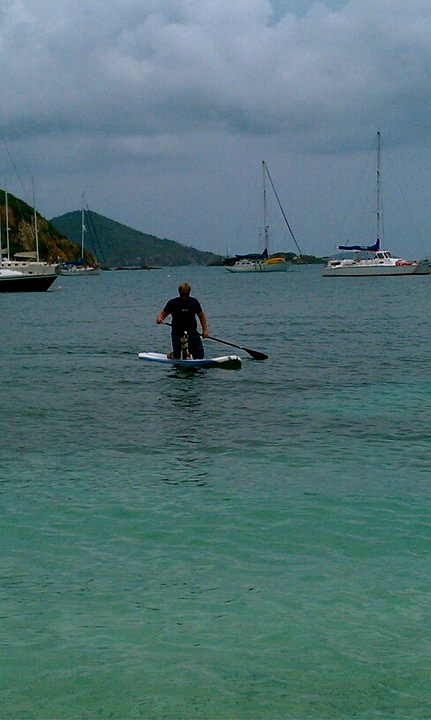 Magen’s Bay is a popular place for cruise-shippers to visit and have some beach time, but it is also the location for a Stand Up Paddle Boarding Pilate’s class. 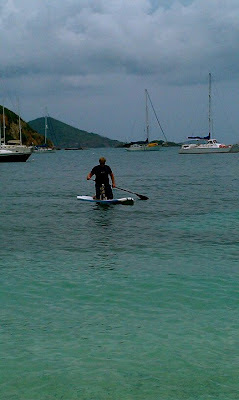 Jake and I have been paddle board shopping recently because we lost our board off shore while sailing. 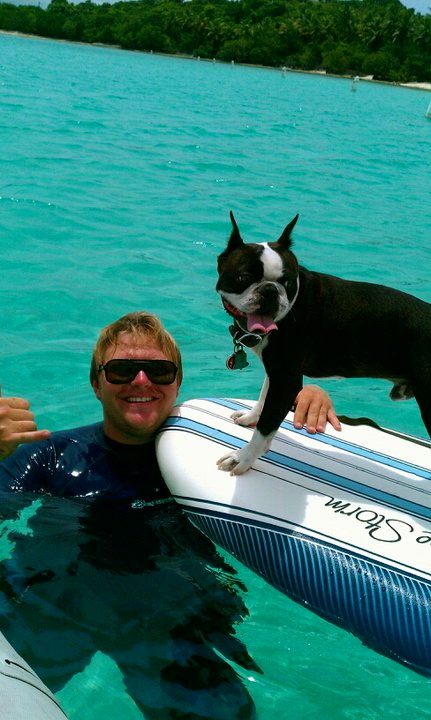 Paddle boarding is something that we both enjoy, well, me more so than him, but it is FUN. Dozer even SUPs with us. Anyway if you have never heard of it or haven't tried it, check it out. Hopefully you will have as much fun as we do, and a HIGH FIVE to all the flailers and fallers for giving this rad sport a try!